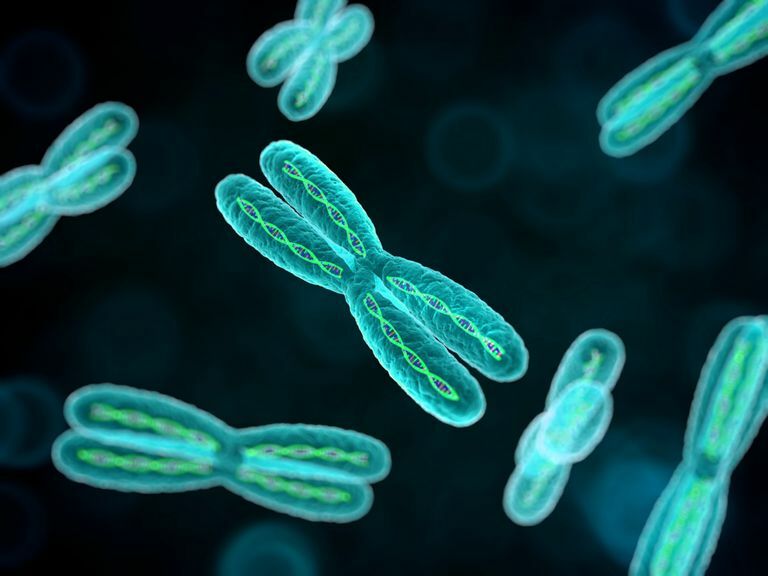 MTHFR mutation—changes to a gene linked to an increasing number of medical conditions, including thyroid disease—has become a controversial topic among scientists. While the National Institutes of Health lists five conditions directly linked to the genetic mutation, a growing body of evidence has linked it, either directly or indirectly, to a host of disorders affecting the heart, eyes, brain, thyroid gland, and other organ systems. The MTHFR mutation is also believed to predispose a person to certain cancers, birth defects, and autoimmune diseases. The reason the subject remains so contentious is that much of the current evidence is either inconsistent, inconclusive, or contradictory. While a number of smaller studies have linked certain MTHFR variants (known as polymorphisms) to low thyroid function (hypothyroidism), there remains much that we do not know about how and how much the mutations contribute to the development and/or severity of a disease. Methylenetetrahydrofolate reductase (MTHFR) is an enzyme produced by the MTHFR gene. MTHFR interacts with folate (vitamin B9) to break down an amino acid called homocysteine so that it can be converted into another amino acid known as methionine. The body, in turn, uses methionine to build protein and other important compounds. An MTHFR mutation is simply an error in the MTHFR gene that causes it to malfunction. If this happens, the gene may be less able to break down homocysteine, causing an accumulation of the enzyme in the blood. Depending on the genetic variant, a person may either have normal or elevated levels of homocysteine in their blood or urine. Abnormally high levels of homocysteine, referred to as hyperhomocysteinemia, is associated with an array of medical conditions, in part because it depletes the amount of folate that the body needs to function normally. This is especially true of heart, brain, and other bodily tissues that rely on folate to repair damaged DNA and ensure the healthy production of red blood cells. Despite their association with certain diseases, the overall risk imposed by most MTHFR variants appear to be quite small. In most studies finding an association between MTHFR variants and diseases, there is no evidence of a cause and effect relationship. With all of this being said, it's important to remember that having an MTHFR mutation doesn't mean that you will develop a disease or pass one to your baby. Especially with regard to neural tube defects, MTHFR-associated diseases are passed in an autosomal pattern, meaning that both parents have to contribute a copy of the genetic mutation. Even then, the development of a neural tube defect is not certain. The risk that parents with known MTHFR mutations will have a baby with a neural tube defect is extremely low, roughly 0.14 percent, according to data from the National Institutes of Health. The association between the MTHFR mutation and hypothyroidism has been discussed but remains largely speculative. There have been a number of smaller studies that suggest a link, including one from the University of Tbilisi in which certain MTHFR polymorphisms were found in people with subclinical hypothyroidism (hypothyroidism with no observable symptoms), but not in others. While the presence of hyperhomocysteinemia in people with hypothyroidism may suggest an association with the MTHFR mutation—a link popularly shared on many thyroid disease blogs—it is important to note that hypothyroidism can trigger high homocysteine levels irrespective of whether the MTHFR mutation is there or not. So can smoking, advanced age, and medications like methotrexate, Lipitor (atorvastatin), Tricor (fenofibrate), and niacin (vitamin B3). The value of MTHFR mutation remains uncertain given the high variability of what a positive result means. There are times, however, when testing is appropriate. A test, called the MTHFR genotype, may be ordered if you have excessively high levels of homocysteine with no known cause. It may also be used if you or a family member has a history of blood clots or heart disease at an early age. The aim of the test is not to screen for diseases but rather to identify if an MTHFR mutation affects how your body process folate. Doing so can aid in the selection of the right medications and supplements to treat cardiovascular disorders and other conditions. An MTHFR genotype may be recommended if you are unable to control your homocysteine levels with levothyroxine or folic acid. This is especially true if you are at increased risk of cardiovascular disease and no other causes for the homocysteine elevation can be found. The MTHFR genotype is not used for screening purposes. Neither the American Congress of Obstetricians and Gynecologists (ACOG), the American College of Medical Genetics, the American Heart Association, nor the College of American Pathologists recommends the test for the screening of disease or the identification of your carrier status. Kvaratskhelia, T.; Kvaratskhelia, E.; Kankava, K. et al. MTHFR Gene 677T Polymorphism and Levels of DNA Methyltransferases in Subclinical Hypothyroidism. Georg Med News. 2017(265):19-24. National Center for Advancing Translational Sciences. MTHFR gene variant. Bethesda, Maryland: National Institutes of Health; updated September 22, 2017. Uchida, Y.; Sugiura, S.; Ando, F. et al. Hearing impairment risk and interaction of folate metabolism related gene polymorphisms in an aging study. BMC Med Genet. 2011;12:35. DOI: 10.1186/1471-2350-12-35. U.S. National Library of Science. MTHFR gene (methylenetetrahydrofolate reductase). Genetics Home Reference; updated November 20, 2018. Williams, J.; Mai C.; Mulinare, J. et al. Updated Estimates of Neural Tube Defects Prevented by Mandatory Folic Acid Fortification — United States, 1995–2011. MMWR Morb Mortal Wkly Rep. 2015;64(1):1-5.